Standing in romantic walled gardens, Headlam Hall is a 17th century Jacobean mansion. Headlam Spa is a place to relax and enjoy the therapeutic benefits of water. There are five treatment rooms, a 14 metre deck-level swimming pool, Swedish pine sauna, steam room, outdoor hydrotherapy pool, and a spa lounge and brasserie serving informal food and drinks. Headlam Hall is a seventeenth-century country house set in four acres of serene walled gardens. The Hall itself is grey stone, with leaves covering the walls; you'll find elegant floral arrangements and welcoming log fires inside. The spa is in a separate, modern building with the spa itself to the left-hand side and The Brasserie to the right. The spa entrance is through a small garden with a fountain at its centre. 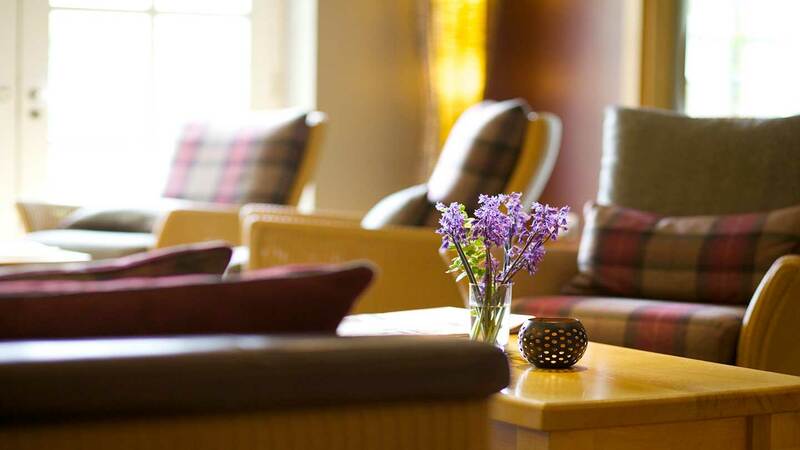 Through the door is a welcome desk and a small "spa lounge" with sofas, chairs and tables; the room is made cosy by the log-burning stove. The changing rooms have tiled floors, banks of wooden lockers, two sinks, two loos and one private changing cubicle. Everything was clean and tidy on our visit. Behind the frosted glass doors of the showers you'll find Aromatherapy Associates body wash, shampoo and conditioner. There is a spinner for your damp swimsuit, too; in the interests of minimising the use of plastic, however, no plastic bags are left out, but you can ask for one at the reception desk. Body lotion is attached to the walls by the vanity area. 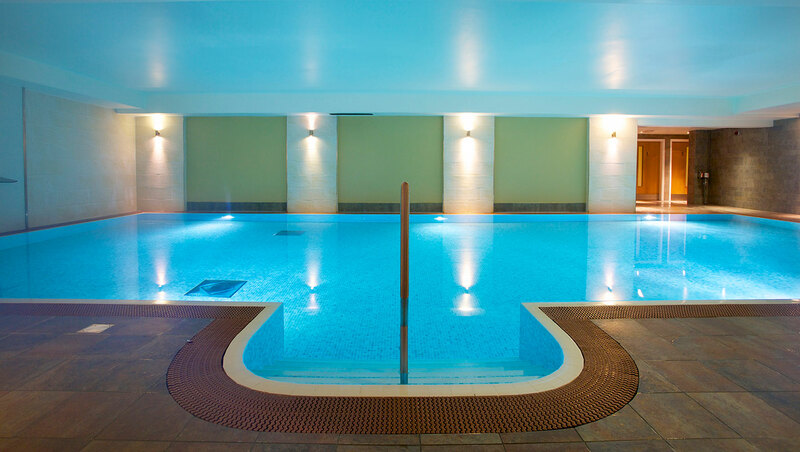 The spa at Headlam Hall has a 15-metre swimming pool that's a good temperature for swimming. Outside of children's swim times -- in the early morning and late afternoon -- the atmosphere is both peaceful and relaxing. On one side of the pool are a handful of loungers, just enough for the numbers of guests. The wooden sauna -- large enough for about six people -- was nicely hot on our visit. The steam room has mosaic tiles and twinkly ceiling lights. There is a drench shower if you need to cool down afterwards. The outdoor hydrotherapy spa pool is hot and bubbly with two jets at the edge supplying gentle bubbles; head into the centre for fiercer jets. The loungers on the terrace have warm and fluffy throws so you can snuggle down; the terrace itself is well sheltered with glass panels to protect guests from the wind. You reach the five treatment rooms -- including one dual treatment room -- through a glass door with a "Quiet Please" sign on it. Beyond is a small waiting area with a couple of chairs with plaid cushions, magazines and a jug of water. Upstairs is a small but well-equipped gym with cardio and resistance machines and free weights, and an exercise studio. We tired the Five Element Aroma Massage (90 minutes, £65), an Elemental Herbology massage followed by a facial tailored to your element: Wood, Fire, Earth, Metal or Water. After completing a questionnaire based on things that I like, from colours to time of the year, I came out as Fire. My therapist, Sophia, used this information to tailor the treatment, using products to promote vitality, energy and clarity. The oil containing sweet orange, basil and rosemary smelled divine. The treatment began with a sprinkling of hot oil on my back which Sophia quickly massaged into my skin. This was followed by hot stones on my shoulders and a hot compress, which Sophia unrolled along my spine to spread the heat across my back. This felt extremely invigorating. I then turned over so that Sophia could massage my arms and legs. For the facial, Sophia performed a thorough cleanse then used moisturiser to massage my face, lifting the jawline with long strokes. She finished with an eye serum to boost moisture around my eye sockets. The warmth of the hot stones, combined with Sophia's massage, relaxed me so much I could have curled up and gone to sleep on the treatment table. Once outside in the bright light, I woke up and did feel invigorated. 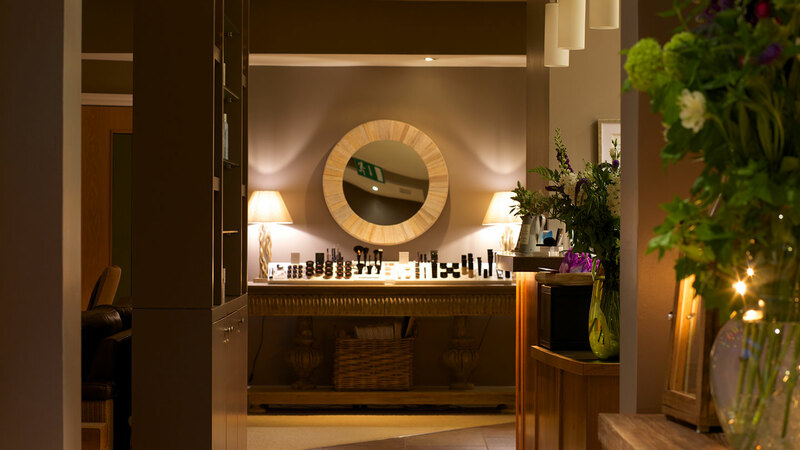 The spa at Headlam Hall offers face and body treatments by Elemental Herbology and Thalgo, including facials, microdermabrasion, hyaluronic fillers, massages, wraps, scrubs and peels. You can also try hand and foot rituals, complementary therapies such as reflexology, and treatments specifically for men and for mums to be. Beauty finishing touches include Jessica manicures and pedicures, waxing, eye treatments and make-up by Mii. If you visit for a spa day, you can eat lunch in the Brasserie café, a small but light and bright space with views over the golf course and a terrace with outside seating. Some of the ingredients come from the hotel's own fruit and vegetable garden and taste extra fresh as a result. Not everyone in the Brasserie was eating in spa robes, but the atmosphere was laid-back enough for this not to matter. We felt the options were nigh-on perfect for a spa day, with choices ranging from light salads to pasta to lamb koftas. Vegetarians are well catered-for and there is a blackboard with daily specials. Our wild mushrooms on toast and homemade vegetable soup with veg from the garden were both fresh and satisfying. We also saw several spa guests tucking into home-made cakes which looked delicious. We were staying overnight and thoroughly enjoyed our dinner in hotel's main AA Rosette restaurant. As well as specials, the restaurant offers three core dishes each day: a pie, a steak dish and a fish course. We chose fish and loved our cod and prawns cooked in a creamy sauce. The spa at Headlam Hall limits the numbers of day-spa guests: This keeps the spa atmosphere peaceful and means that you're never jostling for space. 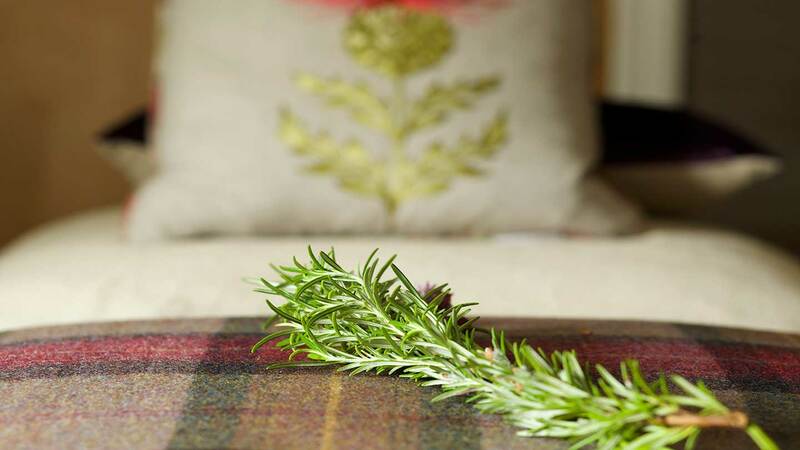 The walled garden: It's worth taking a little time at the start and end of your spa day to breathe the fresh air, admire the lawns, and listen to the birdsong. The spa bedrooms: These are in the same block as the spa, so you can don your robe and simply take the lift down to the spa. The changing rooms lack any luxurious touches. You need to take your own flip-flops and a £1 coin for the lockers. There's no dedicated post-treatment relaxation room: We sat in the small spa lounge area but, with people coming and going, it wasn't particularly restful. Headlam Hall would appeal to couples and friends who want to spend some peaceful time together. We awarded the spa at Headlam Hall a Good Spa Guide Bubble Rating of 4 Bubbles. 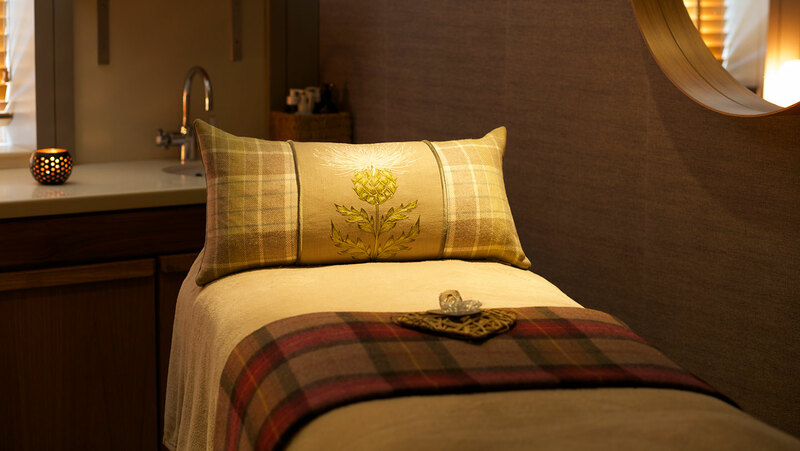 The tranquil spa offers a relaxed ambience in a countryside setting. The treatments are good value, the customer service friendly and the spa lunches fresh and imaginative. The spa is small, but still allows you to unwind and take time out. Sybaritic Spy visited in September 2018 and awarded it 4 Bubbles. "We had our wedding here in 2016 and love to return to stay the night and visit the spa. Staff could be any more helpful they are all amazing. " Lunch is served in either the spa brasserie or in the restaurant at Headlam Hall. Dinner is also served daily in either the stylish Orangery or more informally in the Bar. There are 38 suites and bedrooms at Headlam Hall with 7 of these directly above the spa. Facilities are open Monday to Saturday: 7am-9pm; Sunday: 8am-9pm. Treatments are available Monday to Saturday: 9.30am-8pm; Sunday 10am-6pm. Headlam is 8 miles west of Darlington. There is ample free car parking. 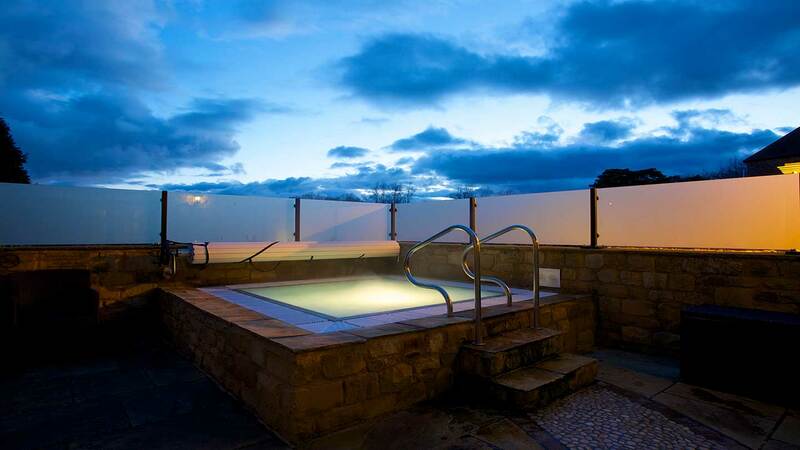 Headlam Spa is fully accessible.